When playing the drums you need to get used to the fact that there’s no such thing as a ‘standard’ notation system. 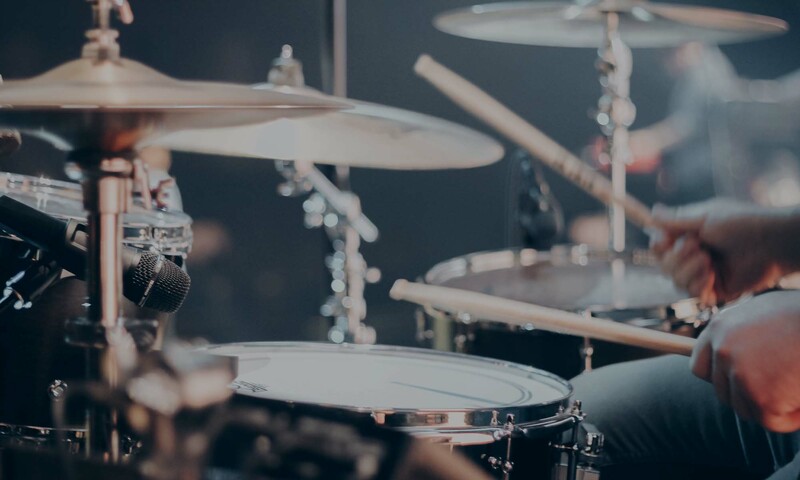 The below drum notation key is internationally recognised but you might see a few different notation systems out there – all music on this site follows the format below. if in doubt look for a notation key to go with the music you want to play. 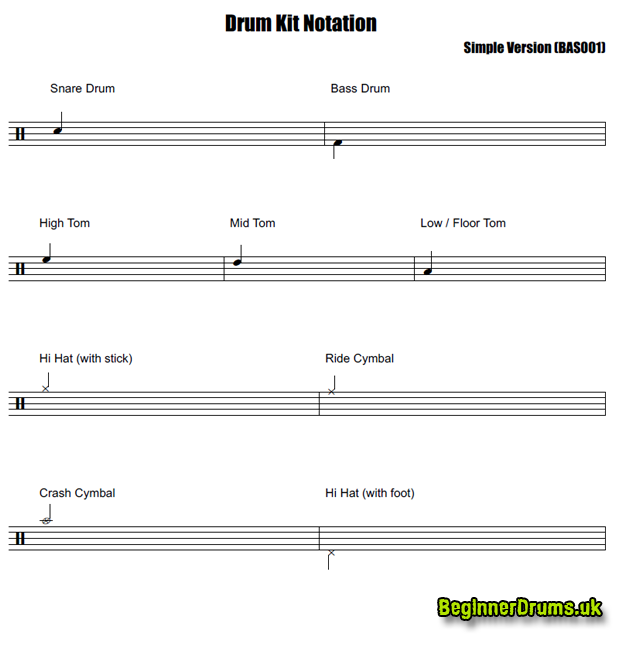 A simple version of the standard drum kit notation key – ideal if you find the normal notation key a bit overwhelming. This will cover you for 95% of your playing and pretty much everything at beginner level. Standard version of the drum kit notation key showing a wider range of drum notes than the above. Most of these extra notes don’t come in to play until you’re at a more intermediate level on the drums.